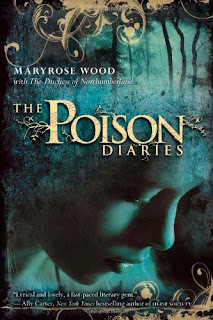 The Poison Diaries is an entrancing, quick read that is one part fable, one part fairy tale (sans fairies) and one part love story. Jessamine's father, Thomas, (as you read in the blurb) is an apothecary. 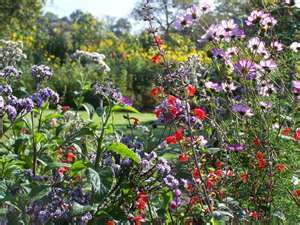 He maintains several different gardens, including: one to feed himself and his daughter (veggies),one for medicinal purposes (herbs) and also one for research (the Poison Garden). 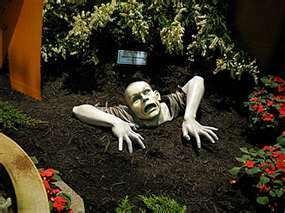 Initially, we are not allowed to peek into the mysterious "Poison Garden" because Thomas forbids his daughter to enter for fear of her safety. The beginning narrative of The Poison Diaries mirrors the glimpses of nature we are allowed to see. The tone is light and breezy while we are surrounded by chamomile, lavender and daises. Into this springtime bliss enters Weed (your typical Love Interest: handsome, glowing eyes, mysterious, thoughtful, weird name, enamoured of heroine....). Does it spoil the story for you to say Jessamine and Weed fall in love? Didn't think so. In the latter half of The Poison Diaries, we get to enter the Poison Garden (finally) and here's where things take a dark turn. Again, mirroring the background garden against which this part of the story is set, the tone is dark, sinister, cruel and deadly once we are surrounded by belladonna, foxglove and oleander. The Poison Diaries addresses the nature (pun intended) of life, love, death and deception in a masterful way. The only drawback might be that the ending is not wrapped with a bow. I would like to say that, "neither is real life" and think that is the reason it left off the way it did. However, the truth is: the ending is a good old-fashioned cliff-hanger to keep you coming back for the sequel being released this October. Well, then it worked Ms. Wood and Duchess, I can't wait to see what you have on store for Jessamine, Weed and Co. next. Thanks for following me at Storybook Love Affair, I am also following you too. This one sounds really good. The cover is stunning!